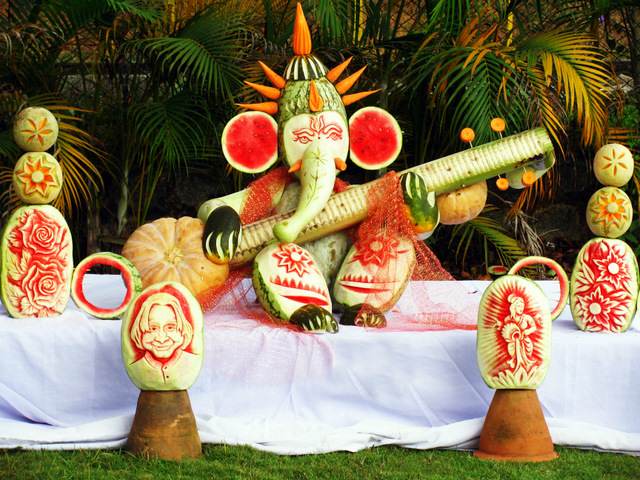 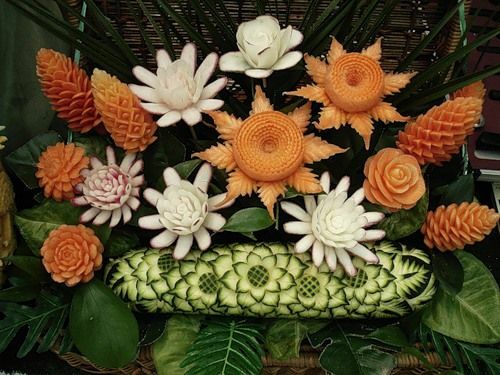 The origins of vegetable carving are disputed: many people believe it to have begun in Sukothai, Thailand 700 years ago, while others believe that vegetable carving originated in the time of the Tang Dynasty (AD 618-906) and the Sung Dynasty (AD 960-1279) in China. 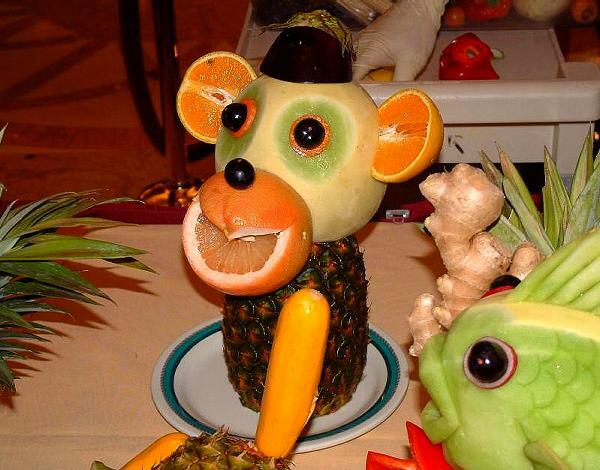 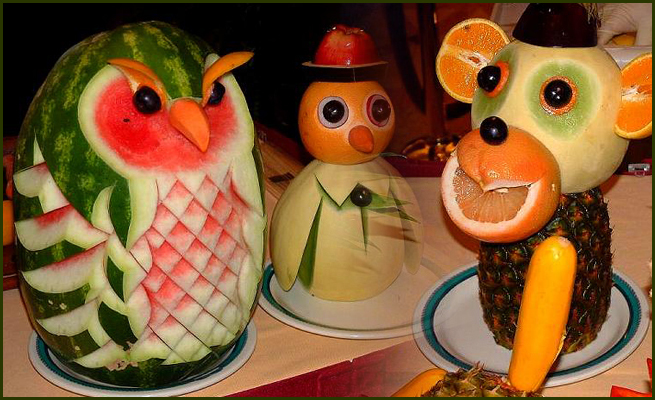 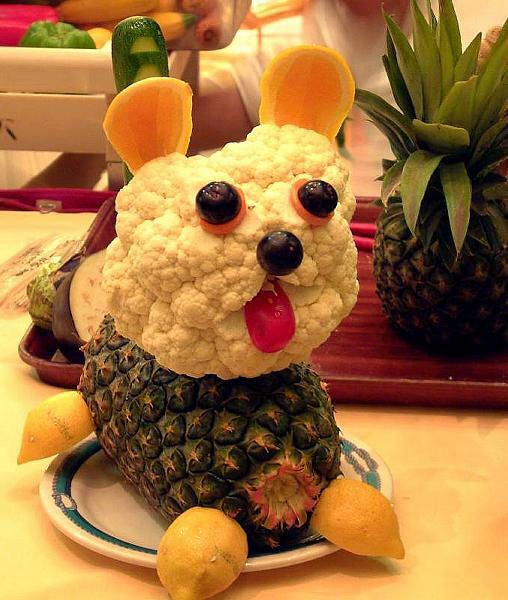 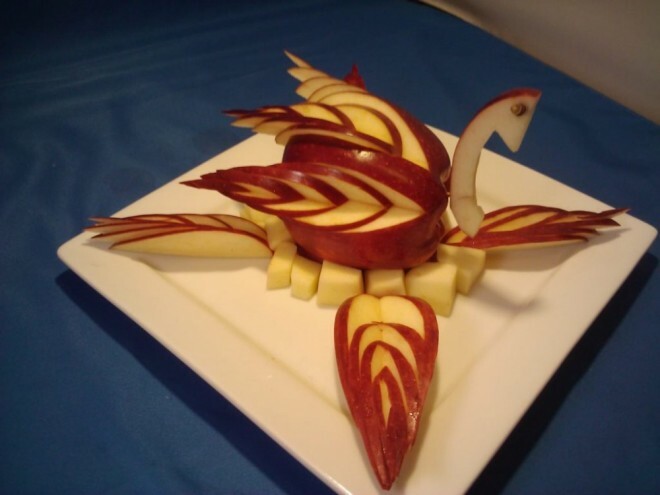 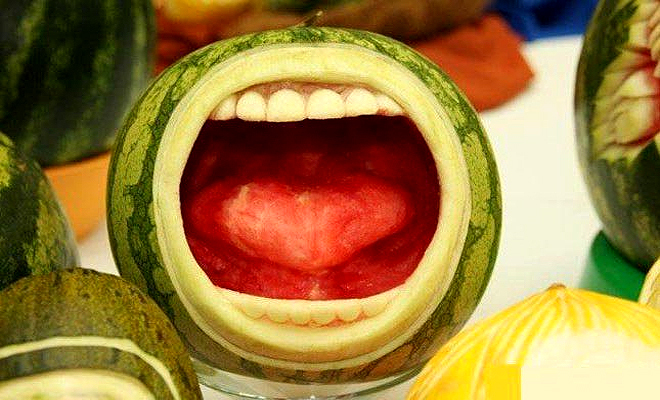 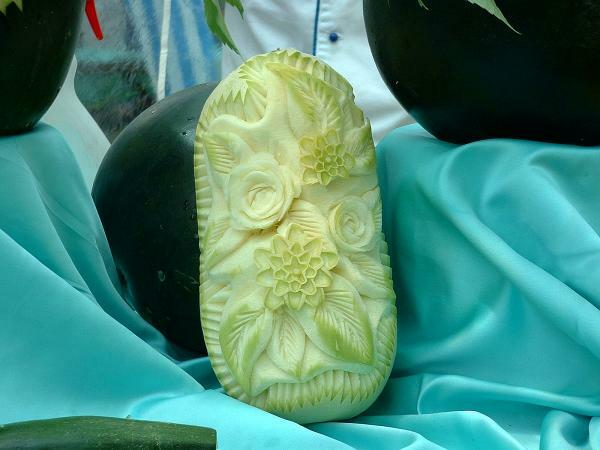 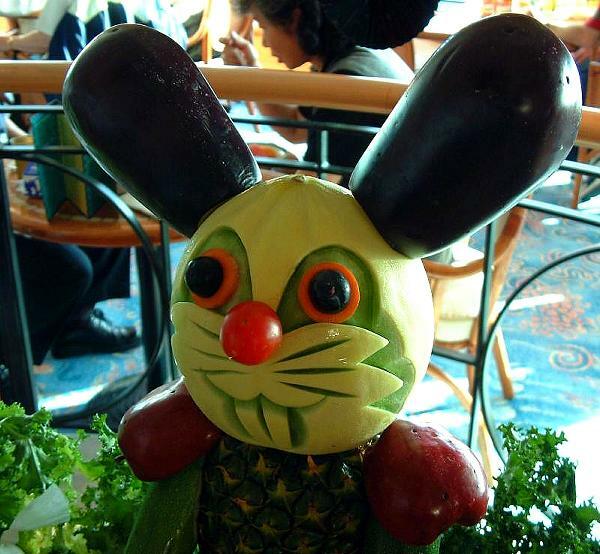 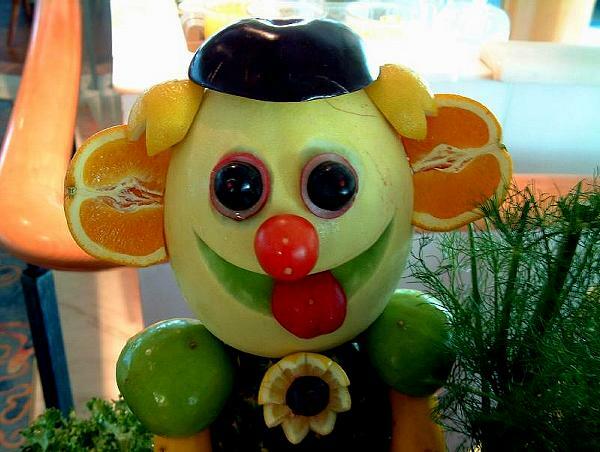 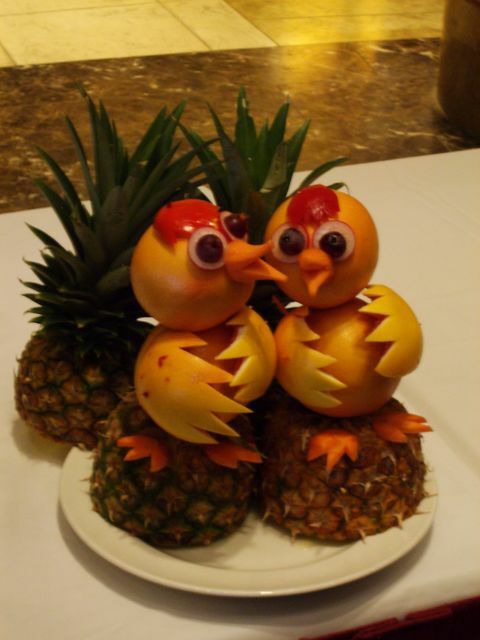 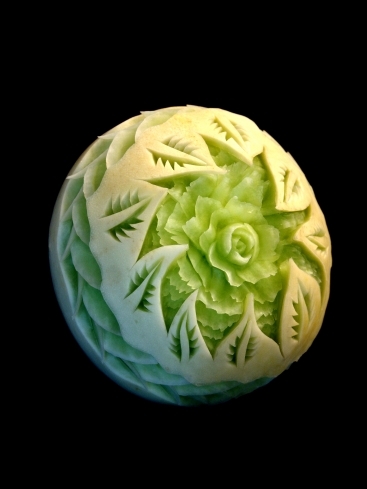 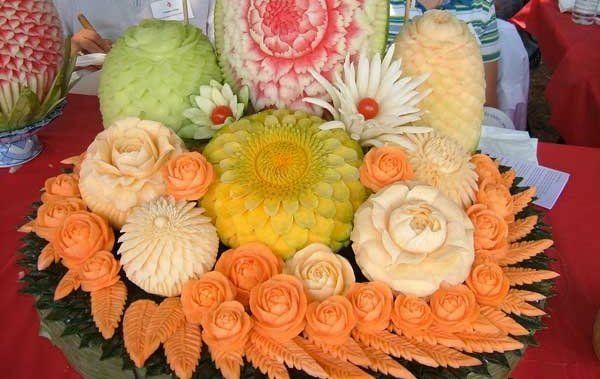 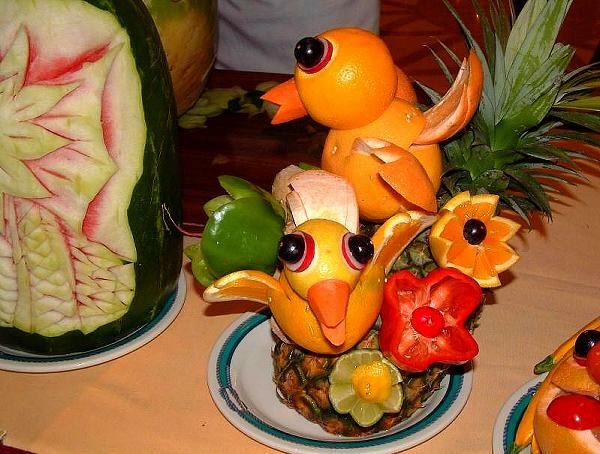 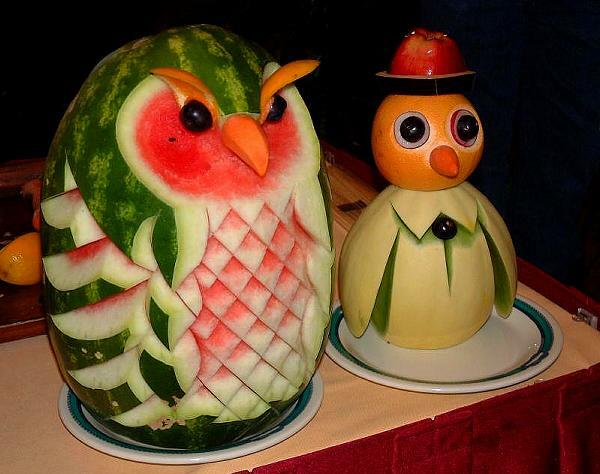 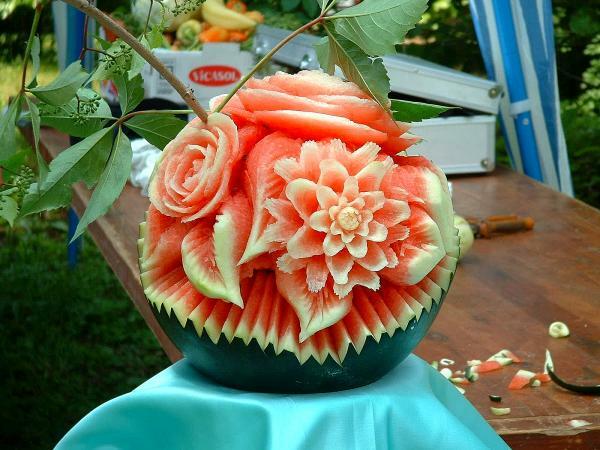 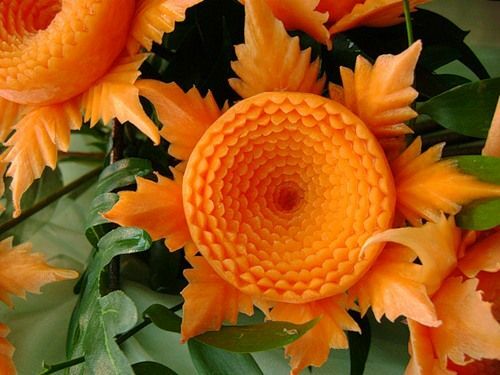 Or perhaps Japan is the root of the art of fruit and vegetable carving, called Mukimono in Japanese. 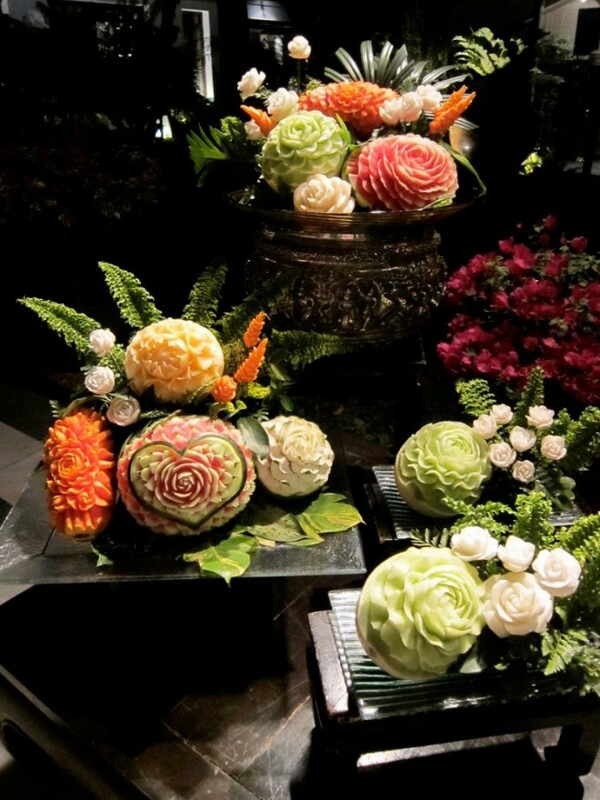 According the book "Japanese Garnishes, The Ancient Art of Mukimono", by Yukiko and Bob Haydok, Mukimono's origins began in ancient times when food was served on unglazed clay pottery. 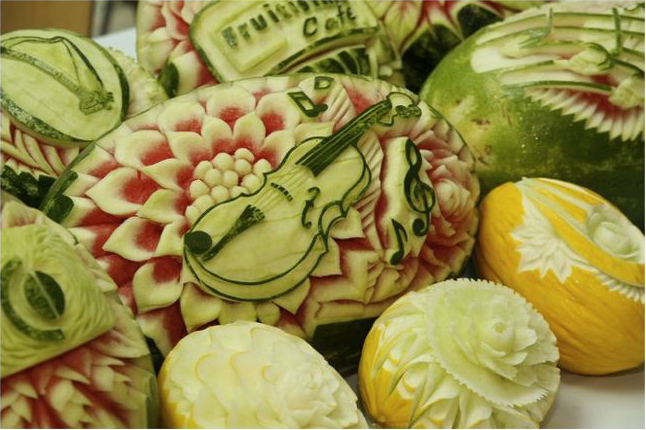 These rough platters were covered with a leaf before the food was plated. 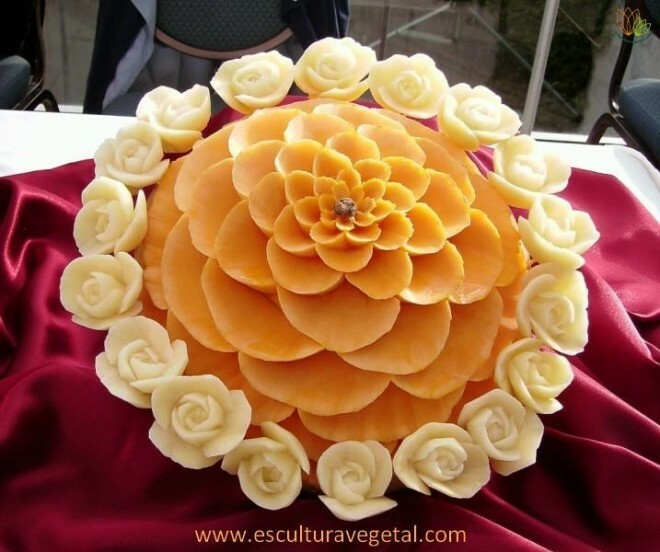 Artistic chefs realized that the cutting or folding of the leaf in different ways created a more attractive presentation. 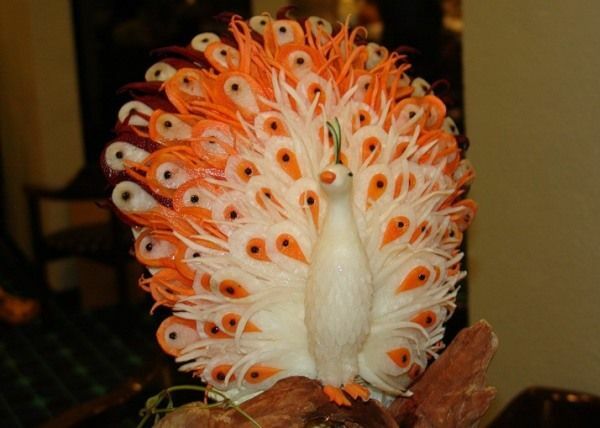 Mukimono did not become popular until the sixteenth century, the Edo period, when Mukimono gained official recognition. 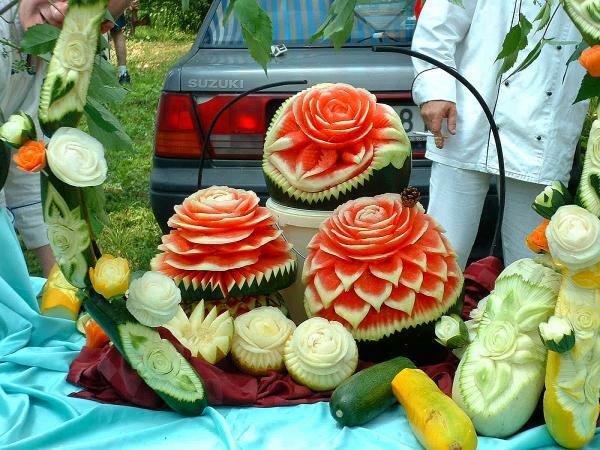 At this time, street artists created clever garnishes upon request. 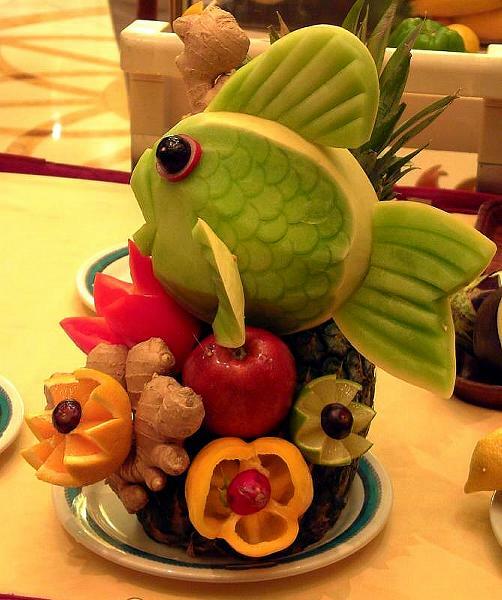 From these beginnings the art has developed into a very important part of every Japanese chef's training.